Julien Leclercq’s thriller The Assault dramatizes the 1994 hijacking of Air France Flight 8969, during which four terrorists took over a Paris-bound plane in Algiers, intending to crash it into the Eiffel Tower. The plan presaged 9/11, and The Assault brings to mind Paul Greengrass’ United 93, a similarly sinewy account of a real-life hostage situation. But United 93 was an almost austere vision of what might have taken place in an event that ended in tragedy; the situation in The Assault was resolved, though there were casualties, including the hijackers. The world has a pretty good idea of what happened on flight 8969, through the accounts of the passengers and the GIGN, the elite paramilitary unit who recaptured the plane. There’s news footage of the incident playing out while millions watched. And so the deliberate narrowness of The Assault, which doesn’t provide a bigger picture or political context for its antagonists’ actions, seems flimsy. The film, which is adapted from a book by Roland Môntins and Gilles Cauture, sticks closely to the hijacking, which took place over three days at Christmas. The terrorists pose as passport agents, but once on the plane, reveal themselves to be members of the GIA, the Armed Islamic Group. Meanwhile, in France, a young government staffer (Mélanie Bernier) fights to have her expertise taken seriously by those in charge of handling the hijacking. The events chronicled in The Assault were tense and agonizing to watch unfold in real life, but aren’t terrific as the stuff of an action movie—it was an ungainly assault marked by things the terrorists hadn’t anticipated, like the stairs leading up to the plane not being removed, or the plane lacking the fuel to make it to Orly once it did take off. To make up for this, Leclercq focuses on one of the GIGN members, played by Vincent Elbaz, who has an extra-cute young daughter and a wife who doesn’t want him to go. 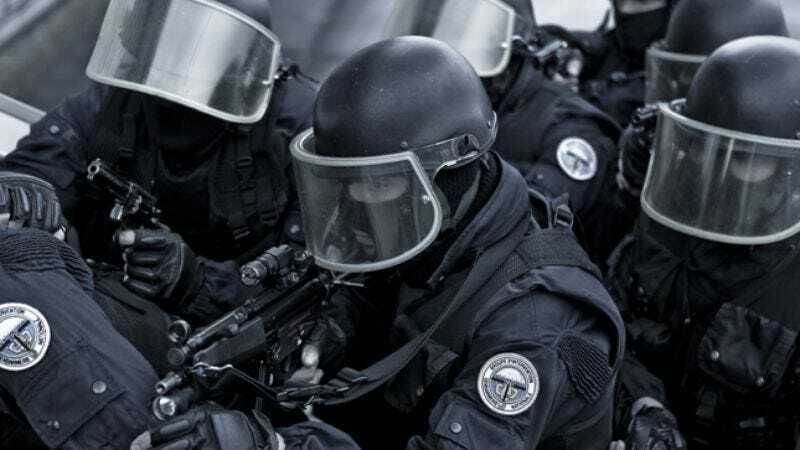 As the GIGN unit heads into the 20-minute gun battle that ends the hijacking, the film repeatedly cuts back to his spouse’s teary face as she watches it all on TV. It’s a jarring element in a movie that’s otherwise all about cool restraint, and it doesn’t provide the intended emotional stakes. Brisk and technically efficient, The Assault is a dull film based on a real event that certainly wasn’t.